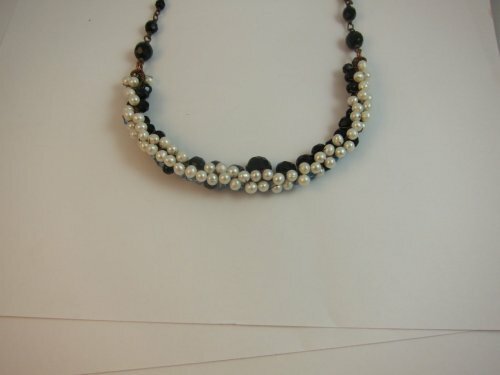 You can make your smile as big or small as you want or make small smiles as bead links. It’s all up to you. 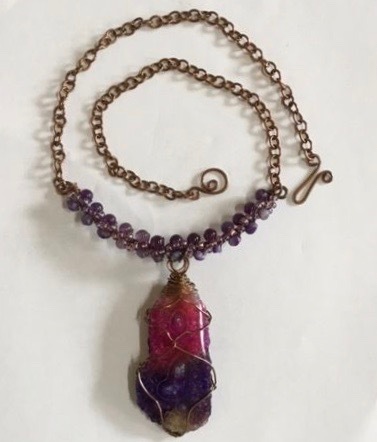 It’s a beautiful beaded necklace on its own, or a good sturdy base for a stone pendant. The number and the size of beads are completely up to you. 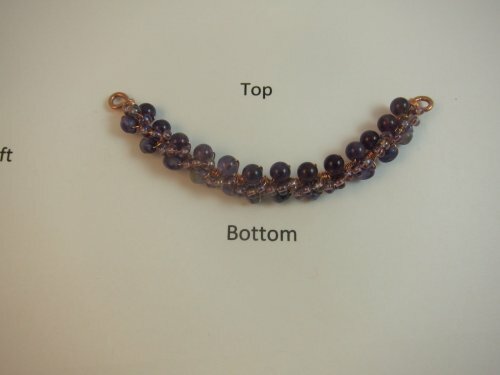 You can add one row of beads or fill up the smile all around with beads. Step 1: Flush cut the base wire the length of your desired smile curving it slightly and then use the round nose pliers to rotate it down until the end touches the straight part of the wire. 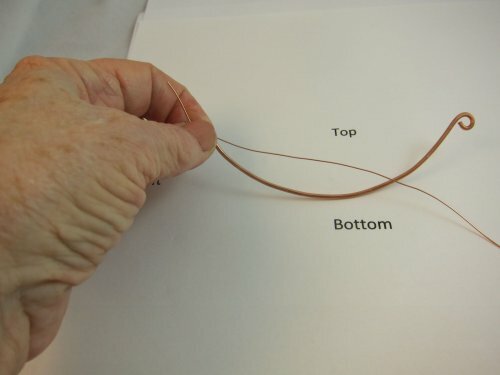 Step 2: Cut a piece of wrapping wire that is at least 6-7 times the length of your base wire (cut this longer if doing more than 5 wraps between beads) and use your left thumb and forefinger to hold a 1 inch tail of this against the front of the left end of the base wire. 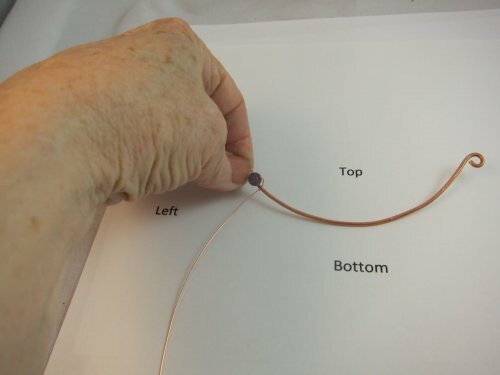 Step 3: Keep holding this wire while you use your right hand to wrap the wire tightly around the base wire at least 5 times. 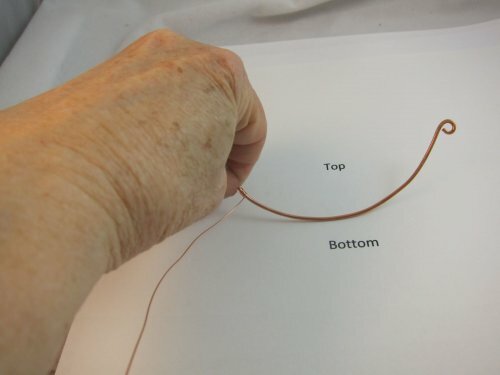 The wire wraps up and over the front and down in the back of the base wire ending with the wrap wire behind and at the bottom of the base wire. 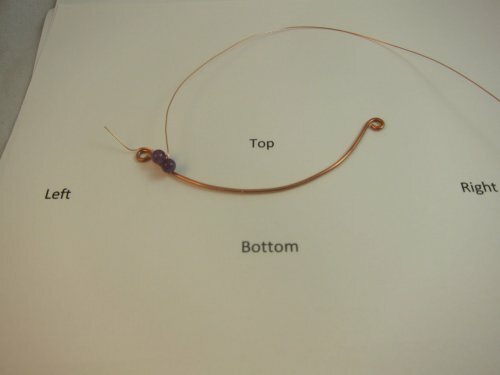 Step 4: Continue holding the wrap wire tail with your left hand while threading a bead on the other end of this wire. 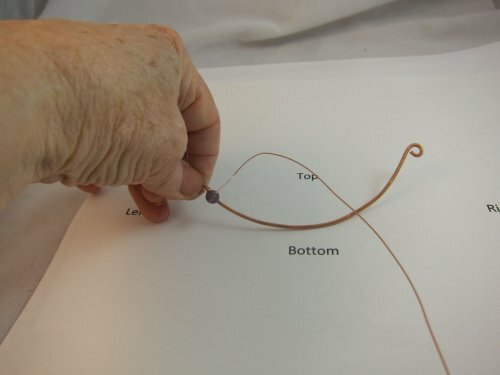 Step 5: Continue holding on as you wrap the wire up and position the bead where you want it on the base wire and hold the bead in place with your left thumb and forefinger while you wrap the wire down in the back and around three or more times. 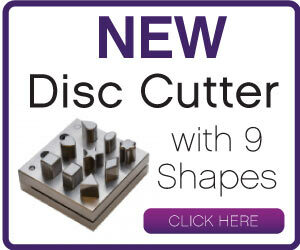 The number of wraps at this point determines the distance between the beads and is another design decision for you. 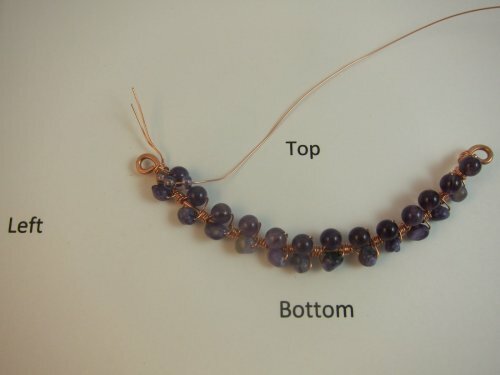 If you want more space between your beads, simply wrap the wire around more times. Count the number of wraps you use and repeat this between each bead. 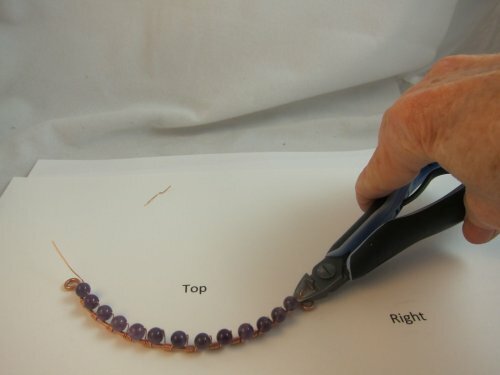 Step 6: Continue to hold the bead in place with your left hand and repeat steps 4 and 5 to attach another bead. Step 7: Continue steps 4-6 until you reach the other end of your smile. 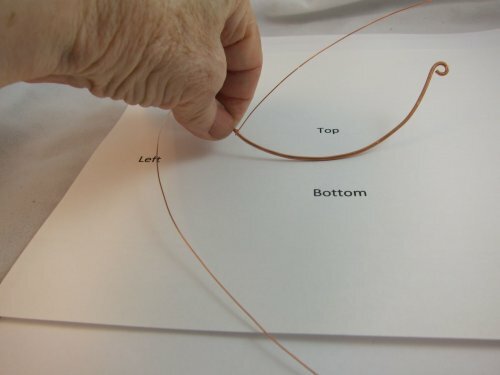 Be sure to leave enough base wire at this end to wrap your wire around 5 times as you did in the beginning. Note: if you don’t have the right amount of room you should be able to scoot the wire and beads a bit to manage this issue. Step 8: Flush cut the wrapping wire. Step 9: Attach chain to each end of the smile by opening and closing the swirls formed in step 1. 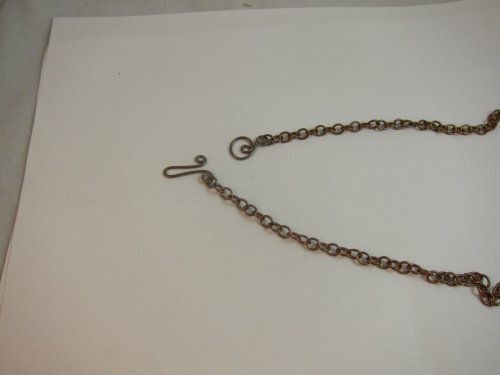 Note: if the holes in the chain are too small for the base wire to go through, use a jump ring for the connection. 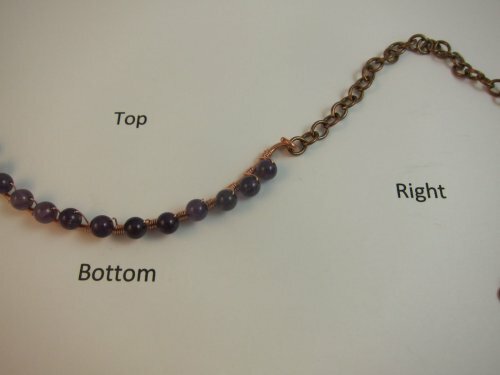 Step 10: Add a clasp and you’re set to smile. 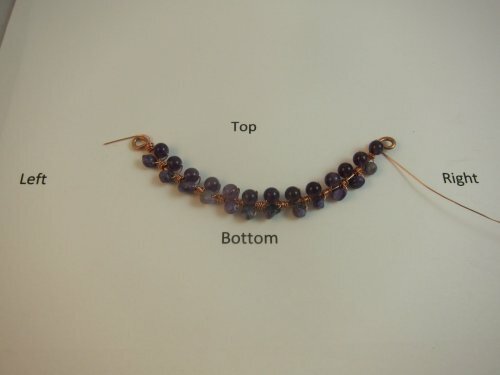 Step 11: Add another row of beads using the same procedure as the first. 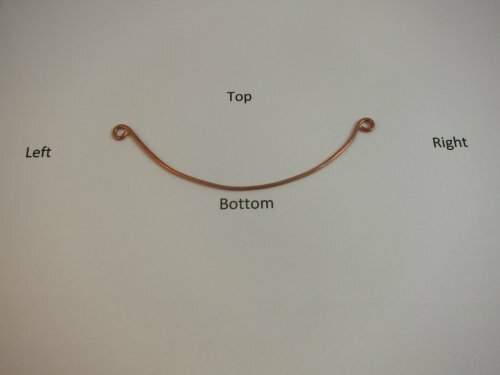 Position these beads to your liking. Step 12: You can add as many extra rows as you want. 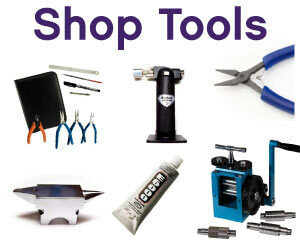 The photo shows a third row. 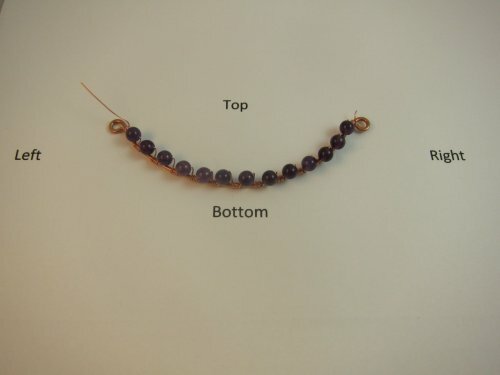 Step 13: If you add multiple rows of beads and position specific colors on the front and the back, you can create a reversible smile necklace. 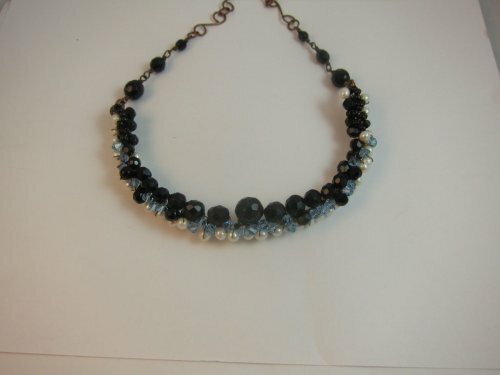 Step 14: Consider making a set of tiny smiles to link together in a necklace as shown in the photo. Thank you for this simple and smart idea! 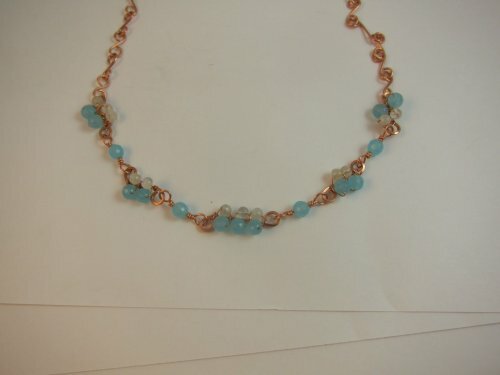 I want to try it to make a three-tier necklace. 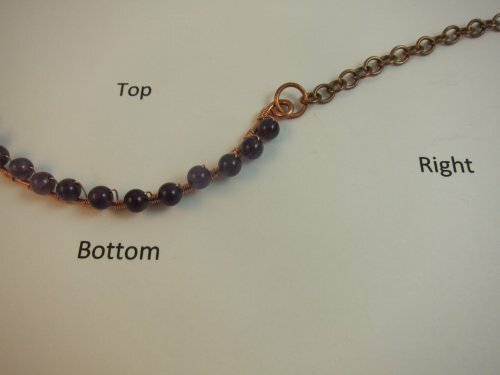 I love the easy-to-make clasp in the photo. It looks better than a lobster claw, and there’s no jaw to break off.